GOLF CARTS: Golf cart rentals will be handled through Brad’s Golf Cars @ 336-595-2006. For more information, see ad in prize list. 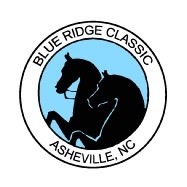 The Blue Ridge Classic Horse Show will be accepting entries online. In order to do this you must have an account (which is free) with horseshowsonline.